You are at the point in redecorating or renovation your home where you need to decide what to do with the floor. There are quite a few options on what to do. You can leave them exposed or cover them up using carpet, tiles, linoleum or a floating floor. 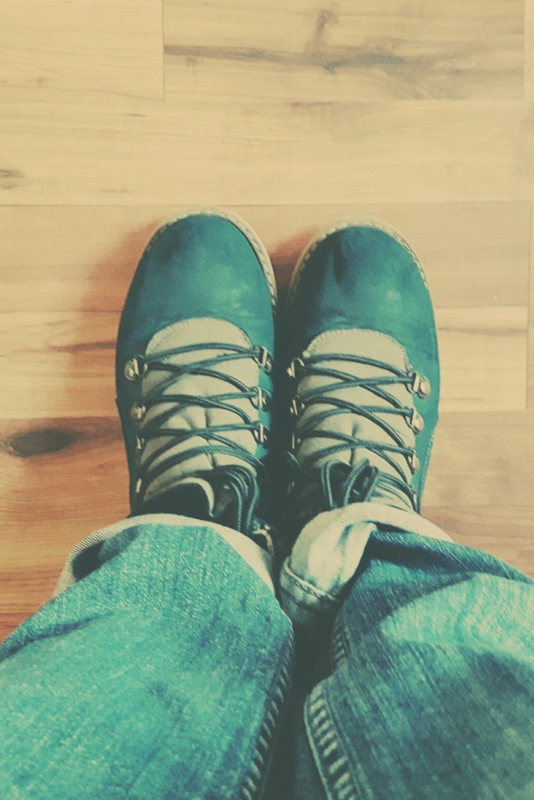 If you already have wooden floors, there are other things you can do with it instead of covering it up, such as sanding, restaining and varnishing. 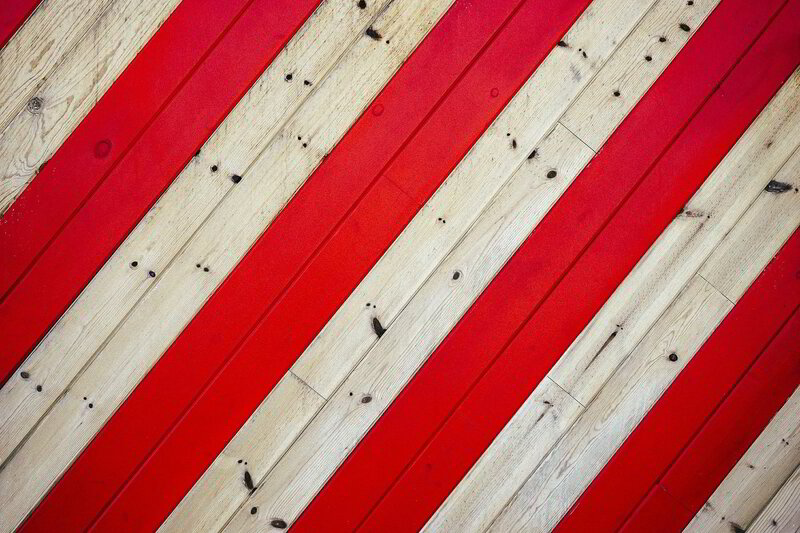 If you want to go for something different, you can choose to paint your floorboards. Yes, that is right. Paint wooden floors! Varnishing and staining are what is commonly seen as a finish to wooden floors but what if you want a very different colour to what is commonly seen? You can buy wooden, engineered or laminate floors that have been whitewashed, have a light brown, red or deep brown colour. This seems to be where the colour choice ends. Or is it? Deciding to paint your wooden floors is not a decision to take lightly. The main reason being if you change your mind, getting the paint off although possible, does not guarantee the floor would look the same as it did before painting. Stripping paint off wooden floors can leave paint remnants and the process of removing the paint is a lot of work especially if the paint has soaked into the wood. With that in mind, here are some reasons why you may want to paint your wooden floor. Whatever the reason for you deciding to paint your wooden floors, there are steps to follow that would ensure you get the best result. One thing I am yet to come across is a company that allows you to specify the precise colour you would like your floor to be at the time of purchase. Could this be because not many people have expressed an interest in having their floors painted in colours usually reserved for walls? Or is it because wood is a natural product and has a limited range of colour? Hence, if you want to have grey, pink, orange or purple floors, you have to put the colour on yourself. 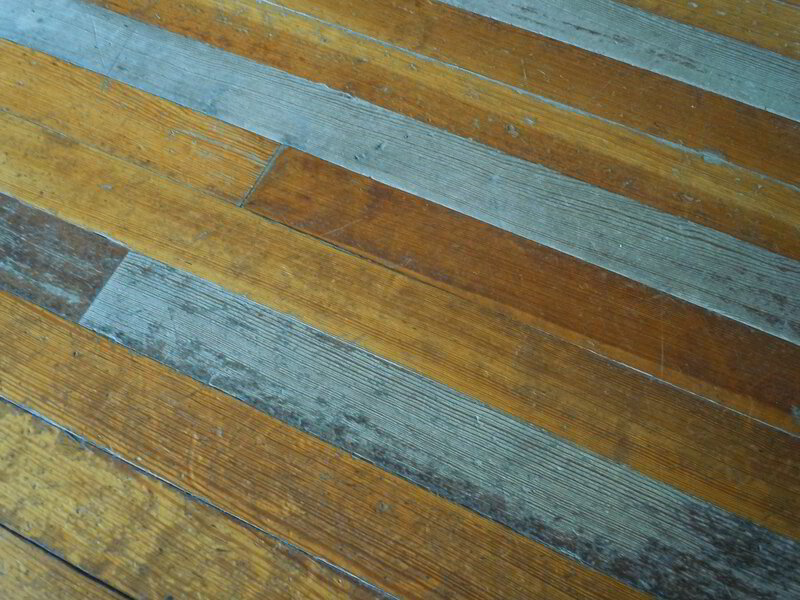 Painting a wooden floorboard is not the same as painting wooden furniture. This is because floors are used a lot. The best paint to use, believe it or not, is paint designed for outdoor use. These paints are available in the same colours as wall paints and withstand a lot of usage. For wooden floors, using a water-based outdoor paint is the best type of paint to use. An undercoat may or may not be required depending on the type of paint selected. We stand, sit, crawl, walk on it, things are dragged and dropped on it frequently. So whatever we want to use to enhance the floor needs to be hardwearing and durable. Now you know the type of paint you need, selecting the colour should be much easier. Just make sure it is a colour you truly like. If you choose to paint your floor yourself, here is a list of equipment you’ll need. When it comes to anything to do with painting, the key is preparation. It is this that ultimately determines how successful the finished look would be. Like walls, the floor has to be a flat surface, nails removed, holes filled in and all dirt cleaned off. When looking for an easy to follow guide there is plenty of information on preparing walls, but not much on preparing floors. Using information gathered about painting walls and from speaking to a few paint experts, here is information on how to paint wooden floorboards. Also added to the information is a bit of common sense and a little trial and error. Starting off with my knowledge and research, here is what needs to be done. Having decided what colour I would like to paint the floor, I went to the paint shop and bought a sample pot. I tested it on a section of the floor and waited for it to dry. Secondly - I had not fully researched what process to use before testing the colour. Unlike a wall where if you do not like the colour, you can change it easily. With floors, changing it is not so straight forward if you did not prepare properly at the start. Start by determining your current floor finish. Is it polished, has it already been painted in the past, is it the original floors, is it a floating floor, can the floor boards be sanded? If in doubt, get a flooring specialist to come and have a look to let you know what type of finish your wooden floors you have. Once you know what type of finish you have, the next step is preparation. Take your time on this part of the project and get it done right the first time, after all, it’s the bits no one sees that is the most important. Think of it in the same way you think about the foundations of a house. A good foundation makes a house strong and structurally sound. A weak foundation makes a house dangerous and unstable. Plus it costs a lot to fix a weak foundation after the house has been built. By preparing properly, you’ll be getting a finished look that looks professionally done and lasts for years to come. It would also make it easier to remove the paint at a later date if you want to change the colour. Selecting a colour to use for your floors is your personal choice. Do you want a light colour or dark colour? Are you trying to match your walls? Do you want to have a warm and inviting colour that complements your design style? To get the floor ready for painting, anything sticking out of the floor, such as nails needs to be removed. Take time to do this as it would make sanding easier. Sand the floor and remember to save the sawdust generated as it can be added to wood glue and used to fill in any gaps, dents, gouges or deep scratches. Using wood glue and sawdust from the floor you’ve just sanded means you do not need to find the right colour wood filler, plus it is a cheaper way of filling in gaps. There are two approaches to use here, the first being to sand the floor and mix the sawdust with wood glue. Rub the mixture into areas that need to be filled, remove excess filler mixture with a dry cloth and let dry. This method is good for larger gaps that require filling. The other method is to place some wood filler on the area to fill and pour on sawdust. Using your finger rub the sawdust and glue into the gap. Remove any excess mixture with a soft brush and let dry. This method is good for narrower gaps. Once the filler has dried into the gaps, it is time to sand the floor again. This is done, so the floor is smooth. After gaps have been filled in, the next step in the process is to clean the floor with sugar soap. Doing this takes off any grease and dirt on the floor that would prevent the paint from attaching itself to the floor surface. A mop and bucket can be used to do this. After cleaning the floor with sugar soap, mop the floor again with plain water to remove any chemical residue left. Now all the floor has been prepared and left to dry, the final thing to be done before painting starts is to use masking tape along the edges, and anywhere else straight lines are required. This would more than likely be around the edge of the room. Having selected the right brush to use for the job, it is now time to apply an undercoat. It is essential the undercoat sticks to the wood rather than get absorbed into the wood. This would make it easier to repaint or stain the floor at a later date. Once the undercoat is dry, it is time to apply the first coat of your paint colour choice. Have a look at the colour as it dries and decide if a second coat is needed. If it is, apply a second coat of paint. Be sure not to walk on the floor till the paint is totally dry, at which point it is time to remove the masking tape, put the furniture back and enjoy the new look of your room. Painting wooden floors can give a room a dramatic look. To recap, here are the steps to follow to paint your wooden floors.